If you’re brand spanking new to the world of BMXing, the first thing you need to know is there’s two types of bike. Freestyle BMX bikes are for future park rats; they’re strong and sturdy and should take a fair amount of throwing around. Downhill BMX bikes are much lighter and more agile, ideal for drifting and gaining speed fast. 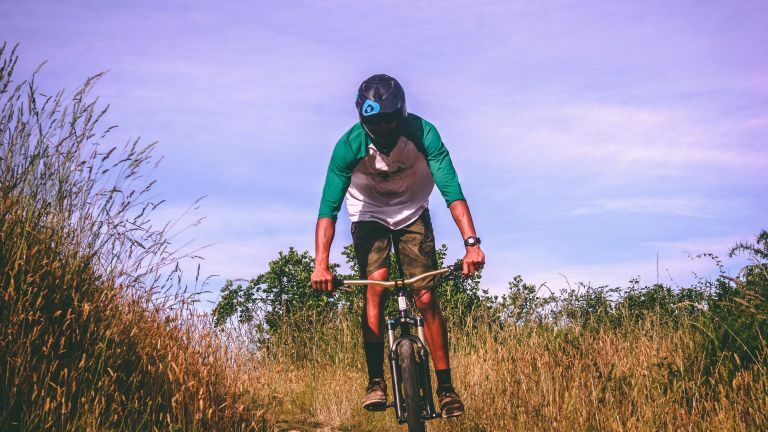 Choosing the best BMX bike is a bit of minefield but the most important feature to look out for is the material of the frame. If the park is calling your name, there’s some leeway around the material. First time youngsters will probably get away with the cheaper Hi-ten steel frame of the Haro Downtown 18 2018 but if you’re late to the rat race, check out 20” frames made from Chromoly or ‘CroMo’ – Mongoose Legion L80 2018 will fit the bill nicely. If you want to head to the hills, Chromoly is probably fine if you’re a beginner but anyone who can build up decent speed should really be looking for aluminium. Evans has a decent range of BMX racing bikes; beginners should take note of the GT Pro Series Expert 2017 Race BMX Bike, a solid downhill option. If they’re gawking at the trixters every time you walk past the local skatepark, it’s time you bought them the best Christmas present ever. While you may want to start them off hopping off curbs and building mini ramps out of spare wood, once they’re ready and raring for the park, this sturdy 18” wheeler makes the perfect inbetweeny until they’re ready for the adult 20” BMX. It comes with a front and back break so it’s road legal and a padded adjustable seat for riding to and from the park. With its Chromoly steel frame, this bike balances studiness with lightweightedness, making it an ideal first BMX bike for future park, street and dirt riders. The wheel size is 20”, ideal for leggy teens and beginner adults, while the friendly price makes it perfectly accessible to the wider market. Although the fork is made from the slightly heavier Hi-ten steel, it keeps the price of the bike down but still offers you a fair amount of leeway for wiping out. Alongside the light, strong aluminium frames and crmo fork, there’s integrated head tubes, butted down tubes and tempered chainstays that make it a reliable junior racing bike. This isn’t a cheap junior racing bike but compared to the wider market, it is affordable. Its specs suggest its up for some serious business, so make sure you’re in for the long haul before you buy. Costing significantly less than any of the other BMX bikes on the list, this BMX bike from Mafiabikes is a great option if you’re looking to trial out the park. Because of its price, you’re only gonna get a Hi-ten frame, which isn’t as light or as strong as Chromoly, but when you’re not gaining the height or the movement of experienced riders, this is perfectly fine for a first timer, leggy teenager or adult. For first time freestylers, this BMX bike from DiamondBack is ideal. It’s in a similar price range to the Mafia and it may only be made from Hi-ten steel, but it's almost half the weight, making it perfect for kids looking to get their first taste of air time. There’s some pretty cool colour schemes available, and with aluminium brakes for powerful stopping and 20” wheels for coverage, this bike features plenty of great details. BMX racers require a whole different style of bike. It needs to be lightweight, yet strong enough to be put through its paces, which is why aluminium is such a perfect material. Combining an aluminium alloy frame with a Cr-Mo fork, this bike offers the perfect combination for beginner racers. It weighs just 7.53kg, so it should be super speedy, just bear in mind that you won’t be able to take this bike on the road. 24” wheels give you just that bit more stability when it comes to freestyling and trail riding, making it ideal for bigger adults who find the 20” just that bit too unbalanced. With its durable 3-piece cranks and Hi-ten frame and fork, this bike is ideal for novices and should be able to cope with intermediates throwing it around, too. With a padded seat, the Haro Downtown is also suitable for general street riding, making it a great all-rounder.